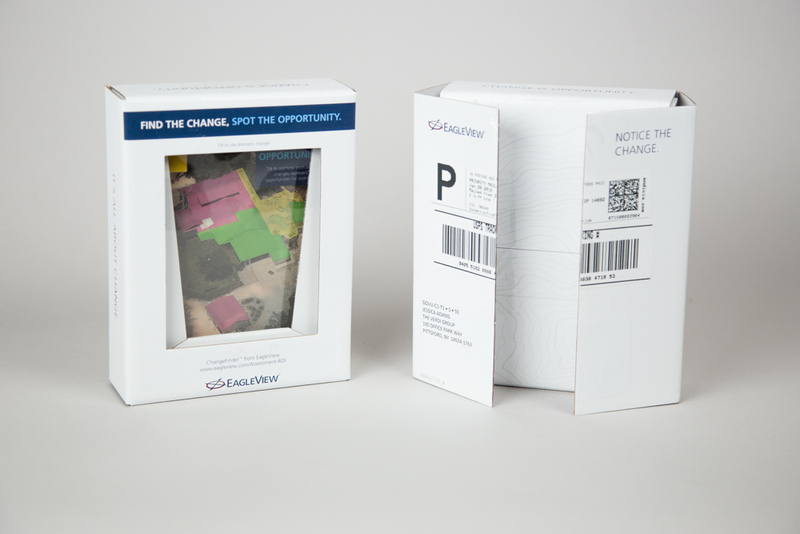 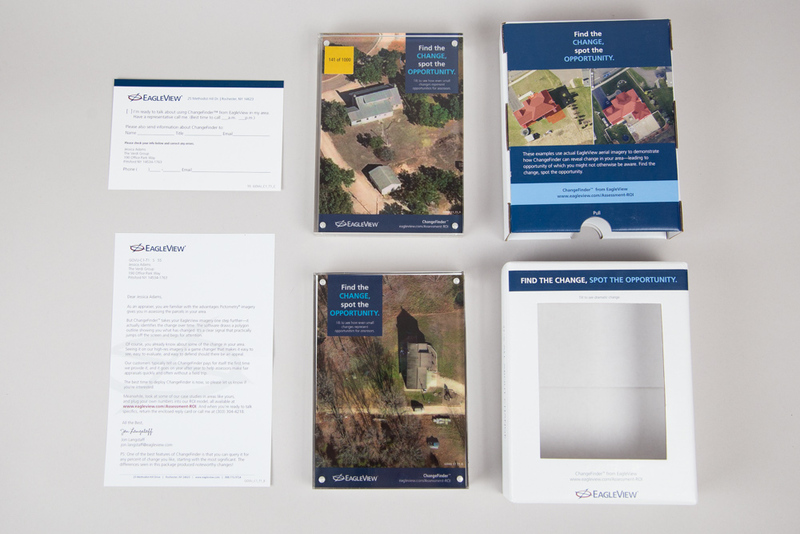 This multi-touch direct mail and email program was used to target property assessors that are current customers of EagleView, but have never used the ChangeFinder™ product. The solution was lenticular printing, a 2-D technology that allows a viewer to change the displayed image with a flick of the wrist. 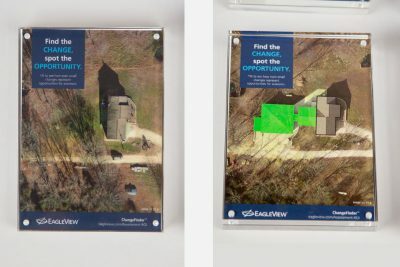 The alternating images showed two different aerial captures of the same property, shot several years apart. 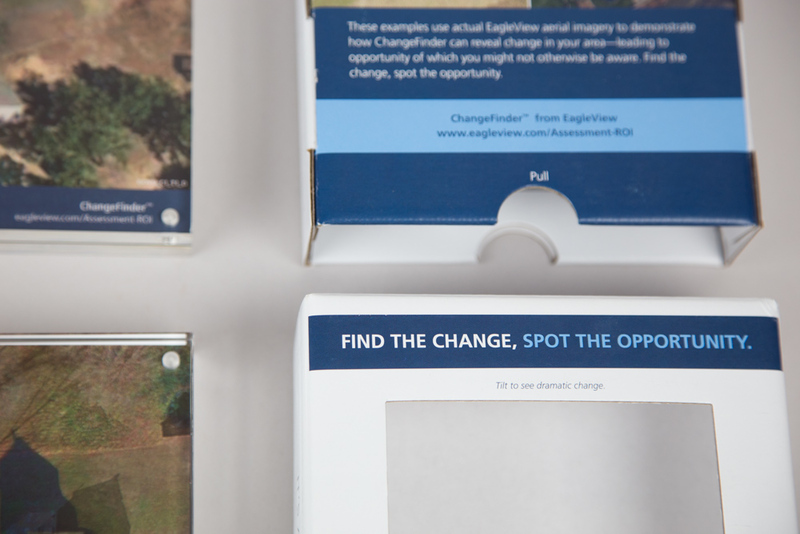 Color-shaded property changes and improvements provided a compelling illustration to the ease and efficiency of using ChangeFinder to identify untapped tax revenue. 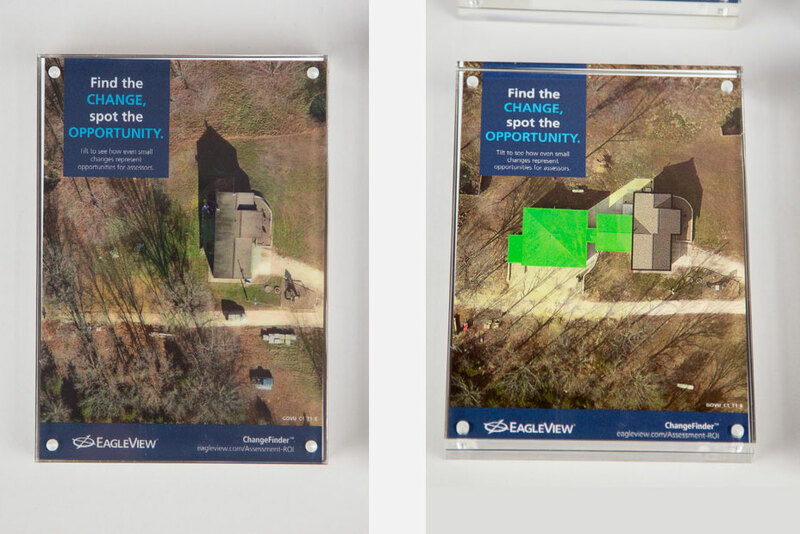 The lenticular was framed in a sleek, clear acrylic block frame and serialized with a gold sticker, serving as a desktop keepsake and reminder that EagleView helps property assessors be fair and equitable in their assessment practices. 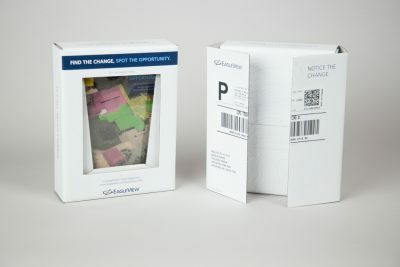 The framed print shipped in a windowed outer box, so that recipients could interact with the lenticular technology immediately upon delivery. 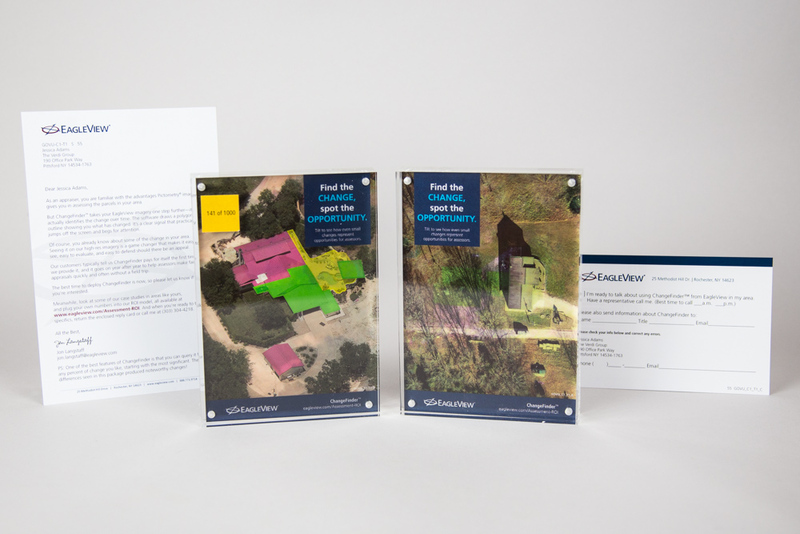 To date, the campaign has generated an outstanding lead rate and a strong, positive ROI from closed deals to date.